Spring Break really is the great American contribution to leisure travel. A week every year where the youngest, sexiest people in America go somewhere hot, with virtually no rules, and nobody there to recognize them. It's a week where you can be whomever you want, do things you wouldn't dare do back home, and generally enjoy life without much consequence. 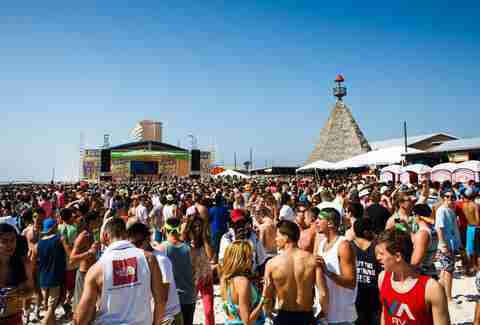 For years, cities in Florida like Daytona and Ft. Lauderdale dominated the spring break scene. But they've worked hard to shed that image and, in their place, a dozen destinations -- from Denver to the Dominican Republic -- have stepped in as the top spots for American college students to cut loose. To find out to which SB spots all the cool kids are hitting this year, we asked a bunch of them. And then we took their answers, combined them with data from STS Travel (a company that specializes in planning large-group spring break adventures), and ranked the 12 most popular. While PCB has worked hard to shed its Spring Break image, it's still the biggest party destination in the Redneck Riviera, and students from all over the SEC flock there in early March. 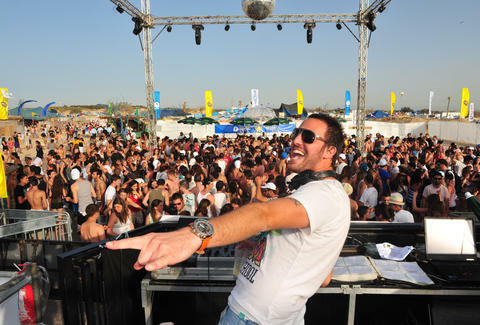 While the city is home to Club La Vela -- the biggest nightclub in the world and ground zero for all Spring Break activity -- it has recently banned drinking on the beach. Consequently, this year is expected to be much tamer. Whether that's true remains to be seen, but this could be the last time Panama City makes an appearance on this list. 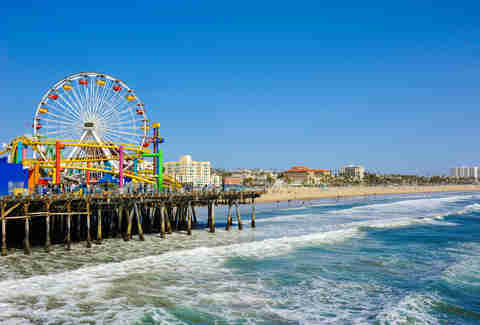 For upperclassmen on the west coast who want grown-up nightlife and beaches that aren't connected to a hotel pool, LA has become a big Spring Break destination. Truth. A quick, cheap flight from most western states, here you can lounge by day in South Bay, one of America's sexiest neighborhoods, and then hit the Santa Monica bars or clubs in Hollywood at night. Or go hiking. Or surfing. 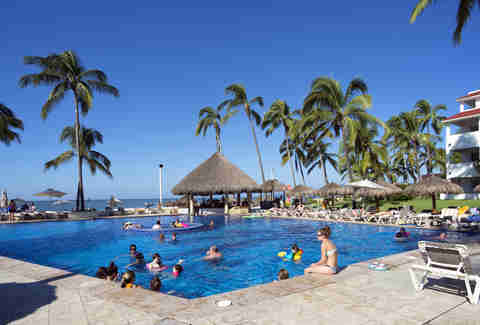 The abundance of hotels and the variety of activities make this a safe, solid school break locale. And what it lacks in wild, it more than makes up for in options. At first glance, Miami might seem like the ultimate stateside Spring Break destination. Crazy nightclubs, raging pool parties, and strip clubs that stay open 24 hours. That all said, the city can get expensive, and if your Spring Break coincides with Ultra, the price of hotels might necessitate stuffing six people in a room. Drinks can get costly too, so don't forget to pack your wallet. The upside (if you're a guy): The ratio of guys to girls is always favorable, since the clubs here keep a hyper-strict door. The trick, of course, is getting past the bouncer. Your first reaction might be, "Yeah, great, Spring Break... from FIFTH GRADE!" But look a little deeper: Orlando's glut of theme parks isn't just for families looking to ride the Tea Cups -- some of the best roller coasters in the world are at Universal's Islands of Adventure. And where else could you spend your week drinking with Homer Simpson? Of course, your theme-park boozing doesn't have to limit itself to Springfield, or even the USA. 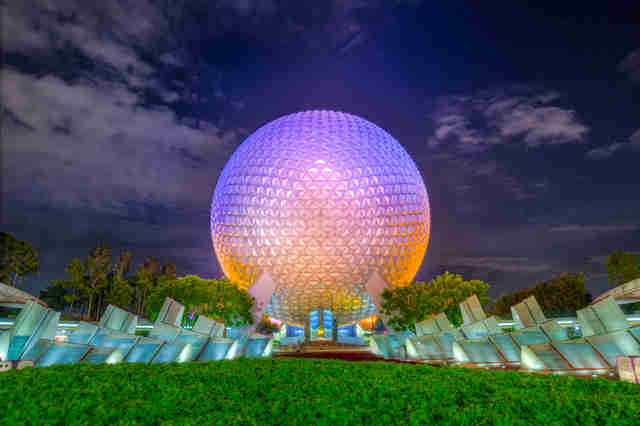 With a little help from us, you can drink in 11 countries in one day at EPCOT. And yes, Mexico is one of them. 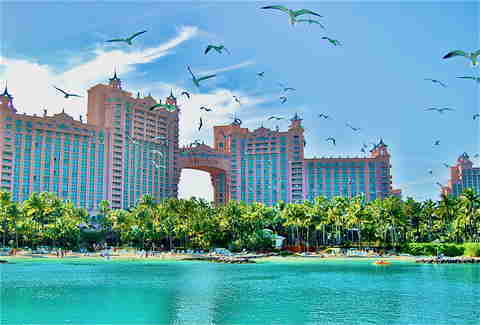 Add in crazy cheap off-property hotels and this is one of the more underrated Spring Break destinations in America. Despite its "Man-cun" reputation, the dude-heavy originator of all-you-can-drink SB debauchery is still going strong. No, it's not the world capital of Spring Break that it once was, but what the city has lost in US college kids, it's picked up in students from South America, Europe, and Canada. In Cancun, you can party with people from all over the world without crossing an ocean, and the international draw means A-list DJs perform at the bigger clubs during March. The Hotel Zone has ten of those to choose from, whether it's high-end ultra lounges like Elevate or the high-energy EDM scene at Coco Bongo. 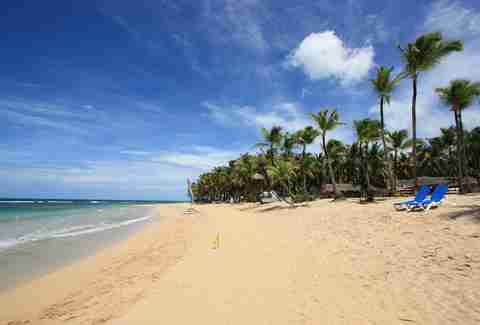 The Dominican Republic has become the world's hottest new tropical Spring Break destination. And while Punta Cana has a long way to go to catch Puerto Vallarta and Cancun in terms of bars and nightlife, the slew of all-inclusive resorts like Barcelo Bavaro and Occidental Grand make it so you don't really need to leave your hotel to get the full experience. And if you do choose to leave, the outdoor activities are some of the best in the Caribbean -- a nearby tropical rainforest is full of hiking, zip-lining, and ATV adventure. While the rest of the year, Puerto Vallarta can be one of the more sophisticated locales in Mexico with short trips to Riviera Nayarit and an abundance of 4-and-5 Diamond resorts, Spring Break is the complete opposite. PV might have the best strip of bars along the Malecon -- the beachfront street that runs through downtown -- of any spot on this list. Perhaps the most famous event is Collage's weekly foam party, a Tuesday shindig that's been featured on every Spring Break TV special in history. There are also EDM megaclubs, Zoo -- where you can predictably spend all night dancing in a cage -- and the requisite Señor Frogs. The draw of a Spring Break ski mission has always made places like Vail and Aspen big time March destinations. But add legalized marijuana to the mix, and all of a sudden you've got college kids who can't tell a snowboard from an ironing board coming to Colorado. Sure, you can hit the nation's biggest ski resort by acreage in Vail, or the world-class slopes in Aspen, Breckenridge, Steamboat Springs, or any of Colorado's other powdery resort towns. But now people also go to Boulder to enjoy legal cannabis in one of America's best college towns. Or Denver, where spring breakers over 21 can hit a standout collection of breweries. 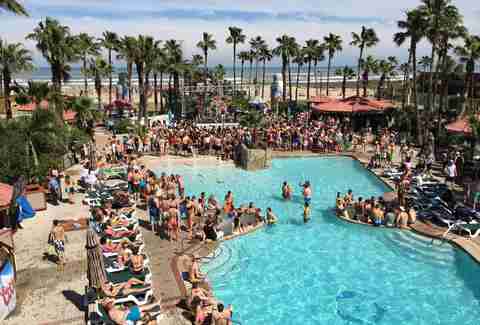 Unlike its reluctant Spring Break counterparts in Florida, South Padre has embraced the party and been one of the best domestic SB destinations for decades. Though it was once dubbed the "two-nation destination" for its abundance of 30-minute side trips to Mexico, the US Department of Public Safety advises against that now. Still, this barrier island has no shortage of ways to party with ten Texas-sized nightclubs welcoming college students all month. Check out CHAOS, which features a tattoo parlor for those looking to make lifelong bad decisions, or Laguna Bay, which hosted a Maxim party last year. And while the daytime beach parties are everything you ever wanted a Spring Break beach party to be, watch yourself: this year police will be using drones to make sure everyone stays in line. 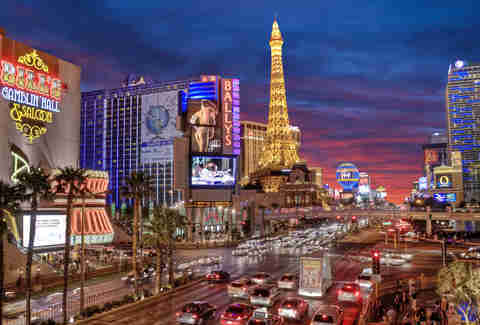 Once you turn 21, Vegas is the absolute go-to for Spring Break. Aside from the joy of showing your ID to casino security and telling them to leave you to your nickel slots, if your school's break is timed right, you can watch March Madness at the sports books and bet 20-team parlays ALL weekend. Past gambling, you've got America's best pool parties, an endless array of strip clubs, and mega-clubs like XS, Hakkasan, and Marquee, all of which dwarf any of the spots your underclassmen friends are hitting in Mexico. As you might have learned, the Bahamas are actually over 700 islands, so it's hard to name just one here that's great. First, every Spring Break cruise on the planet stops in Nassau, where Señor Frogs has caused more than a few people to miss their boats home. A short car ride from the cruise port is Atlantis, which is like going to Vegas, but with an actual beach nearby. Then there's Freeport, where the bar-lined town square is an un-walkable mass of Spring Break debauchery. Finally there's Bimini, where students can be in less than three hours (from Miami) thanks to the Resorts World's SuperFast cruise ship, and big name DJs play the resort nightly. Honestly, the island at the end of the Florida Keys is almost like Spring Break all year, and acting a fool in the middle of Duval Street is more or less standard behavior. But during March and April, the bars on that legendary drinking boulevard are wall to wall with Florida's best and brightest college students, who opt for the short drive to Key West over long flights to Mexico. Though the beach here leaves something to be desired, what Key West lacks in sand it makes up for in nightlife. And after a few hours at Rick's or the Hog's Breath Saloon, you'll completely forget that you never had a chance to lay out. Matt Meltzer is a staff writer with Thrillist who's been to more Spring Breaks than weddings. Follow him on Instagram @meltrez1.